March for Science Hilo supporters hold their signs high during the Merrie Monarch Royal Parade on April 22. Photo: Chris Yoakum. These were among the dozens of phrases scrawled on homemade signs hoisted overhead during the March for Science Hilo on Friday evening and Saturday morning, April 21 and 22. 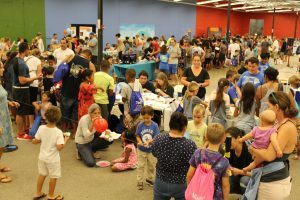 More than 200 local scientists, researchers, teachers, students and science supporters gathered for the event’s kick-off rally and evening march on Friday at Hilo Bayfront’s soccer pavilion. 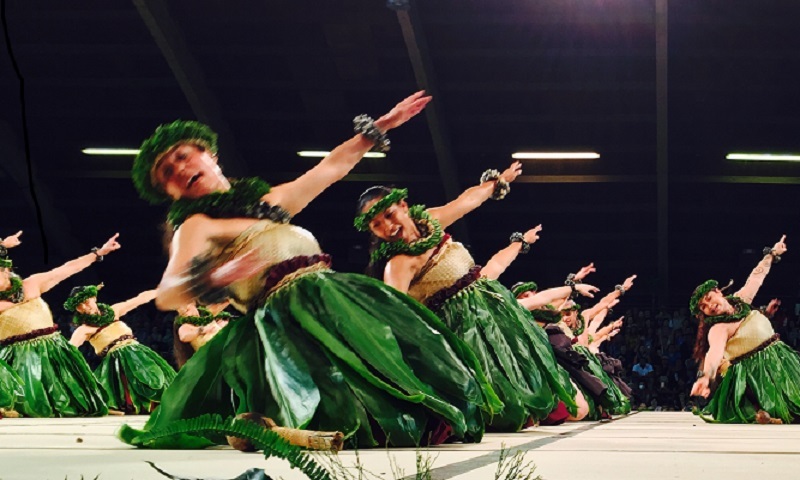 The march continued Saturday morning with 100 supporters joining the procession of the annual Merrie Monarch Royal Parade. 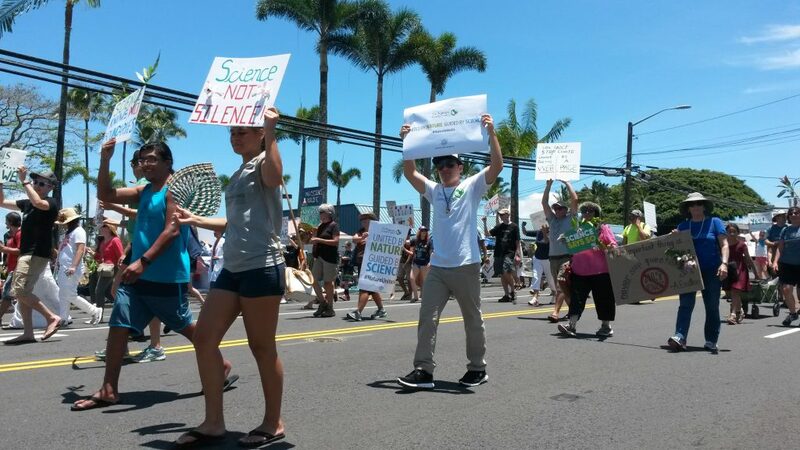 “I know we had marchers from as far away as Kona and Na‘alehu, as well as visitors from the mainland who were thrilled to be able to march with us during their vacation,” said Angela Beck, a March for Science Hilo organizer and UH Hilo graduate student. The demonstration was part of the international March for Science movement held in honor of Earth Day. 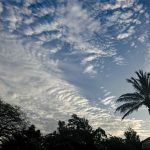 Marches and rallies swept over 600 cities worldwide on April 22, supporting the grassroots effort to promote science and its role in informing and shaping public and environmental policy. March for Science is described as a response to “an alarming trend toward discrediting scientific consensus and restricting scientific discovery” on the organization’s webpage. 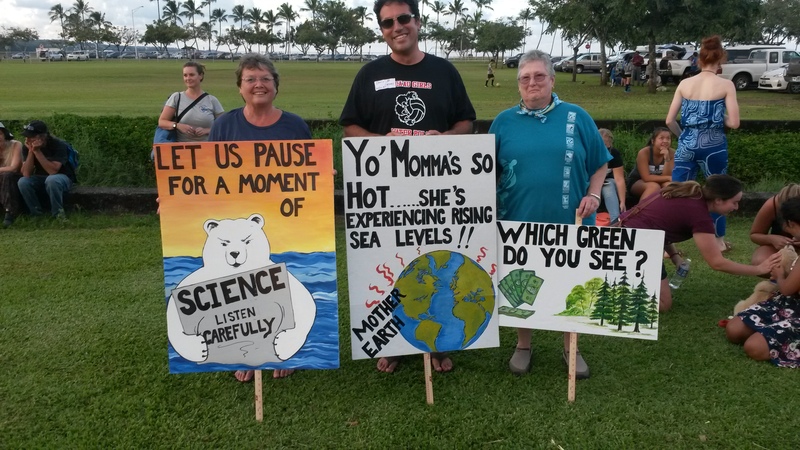 (Left to right) Julie Becker, Chris Ho and Lorna Wagner show their signs at the Friday evening March for Science Hilo kick-off rally. Photo: Chris Yoakum. 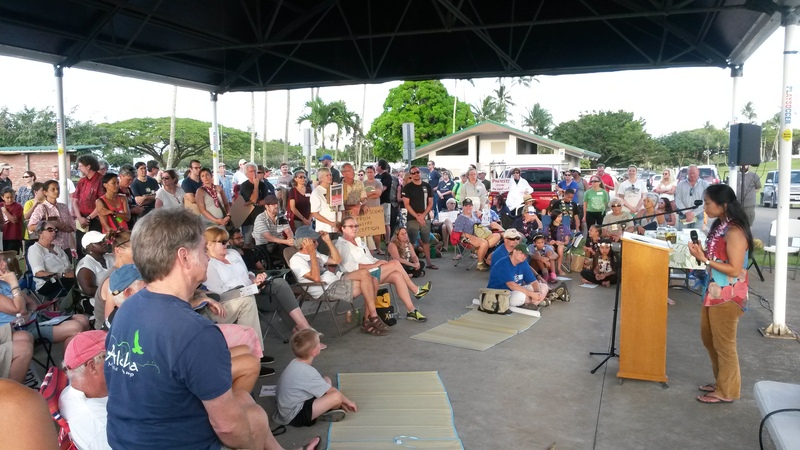 Hilo’s Friday rally ended with a sidewalk demonstration at sunset, preceded by speeches from cultural practitioners, local teachers, researchers and students. 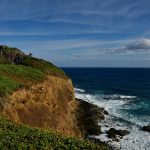 Noelani Puniwai, assistant professor at the Kamakakūokalani Center for Hawaiian Studies at UH Mānoa, voiced her thoughts on the role of science in understanding and connecting with the environment. She also compared modern science with the traditions of indigenous peoples around the world. 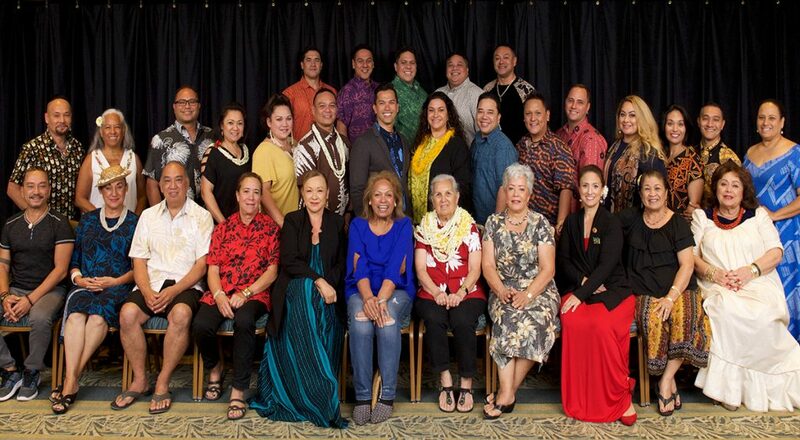 “I get small-kine chicken skin over here,” Kealiʻikanakaʻole said. Organizers and volunteers from Sierra Club Hawaii, Plant Pono and Hilo Women’s March also attended the Friday event, manning tables with brochures about their causes for environmental stewardship and social equality. Kekuhi Kealiʻikanakaʻole of the Edith Kanakaʻole Foundation opened the Friday rally with a mele (chant). Photo: Chris Yoakum. 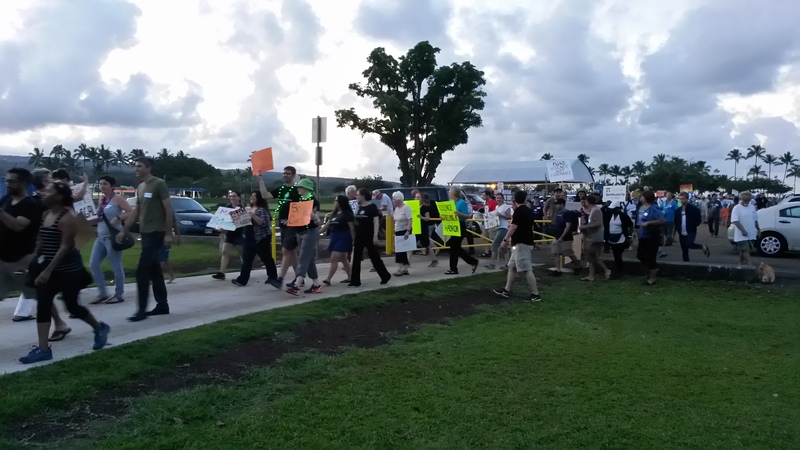 March for Science Hilo supporters take to the sidewalks with signs on Friday evening, April 21. 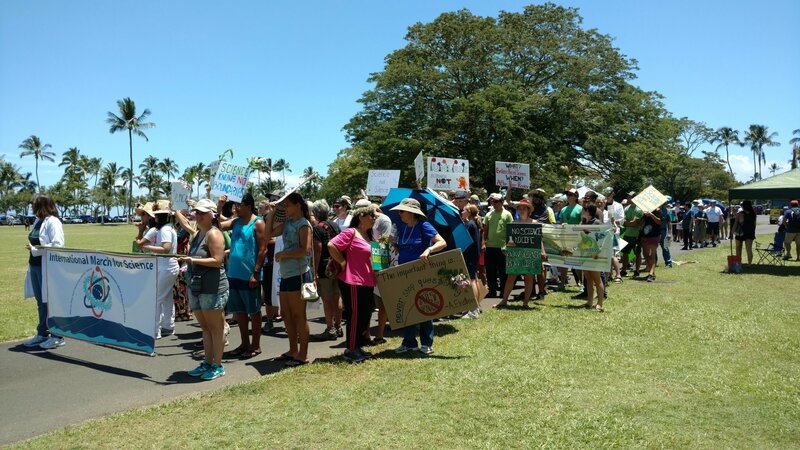 March for Science Hilo supporters lined up under a blazing mid-morning sun to walk in the Merrie Monarch parade on Saturday, April 22. Photo: Angela Beck. 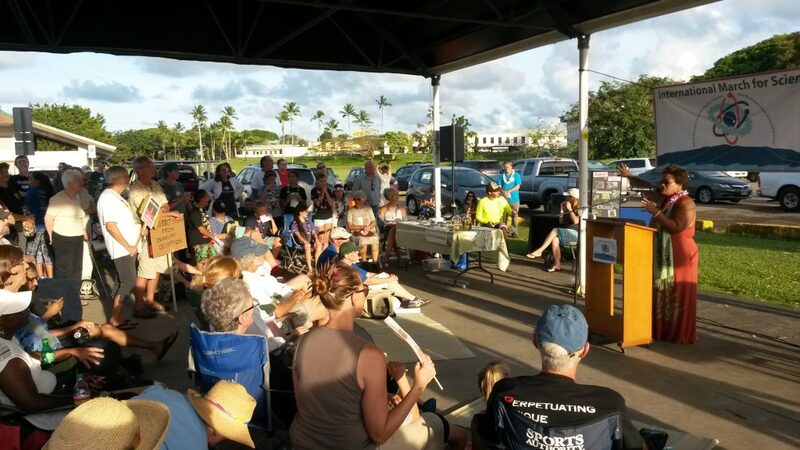 Noelani Puniwai, assistant professor at the Kamakakūokalani Center for Hawaiian Studies at UH Mānoa, addressed the crowd on Friday evening, April 21. Photo: Chris Yoakum. 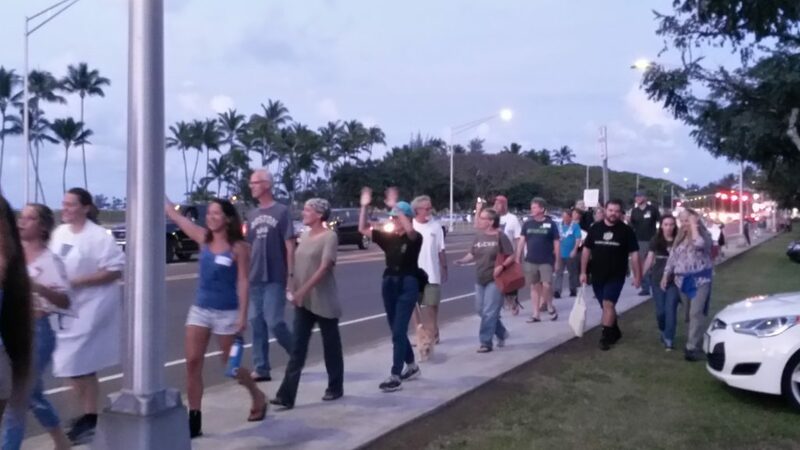 Supporters march down Kamehameha Avenue in Hilo Friday evening, April 21. Passing motorists honked and waved in support. Photo: Chris Yoakum. 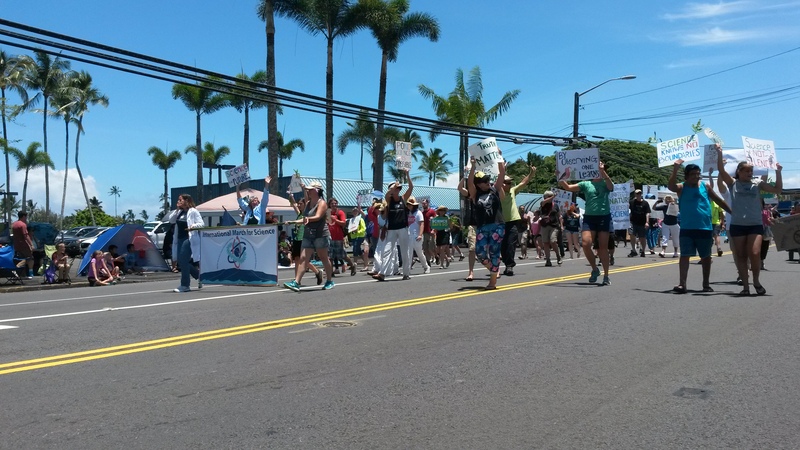 100 March for Science Hilo supporters joined the Merrie Monarch parade on Saturday morning, April 22.